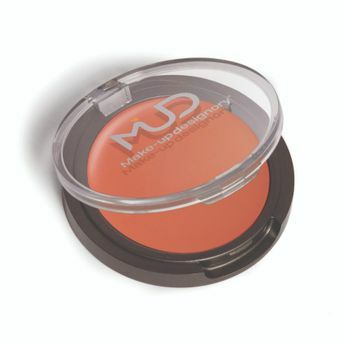 MUD' Color Creme is a sheer, cream-based cheek and lip color that is perfect to add a fresh glow to the skin. Its smooth texture sculpts and illuminates cheeks while delivering a natural flush of color. Its non-greasy formula glides smoothly and blends into the skin with ease. Use it alone to create natural warmth or over foundation for a vibrant finish. Cream-based cheek and lip color . Non-greasy formula glides smoothly . Adds natural-looking warmth to the skin. Excellent for dry, mature or textured skin. Sun Rose - A terracotta-brick color/ Ideal for medium to dark skin tones. Sweet Cheeks - A rosy pink color/ Ideal for light to medium skin tones. Tulip - A sheer, coral peach color/ Ideal for light to medium skin tones.